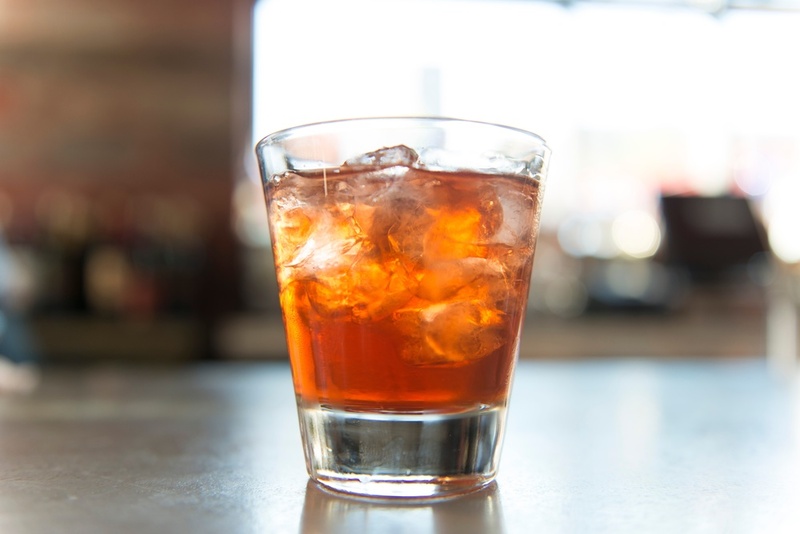 The Cin Cyn is a riff on the Negroni where Cynar--an Italian artichoke-based bitter liqueur--stands in for the traditional Campari. Lead bartender Paul Dellevigne of Philadelphia's Red Owl Tavern created his own twist that also includes Macallan 12 Year Single Malt Scotch. Dellevigne is always looking to improve on a classic sip. "Every time I have one, I think 'what can I do to make this better than the original?' I consistently fail on improving the original idea, but then I succeed in making a drink that stands up just fine on its own. This drink is lovely on its own--I think it's also great with a few dashes of orange bitters. Add all except garnish to a cocktail tin. Add ice, and stir until chilled. Strain over fresh ice in a rocks glass, and garnish with an orange twist.